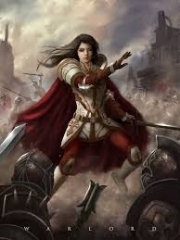 You’re reading novel Chaotic Sword God Chapter 720: Determination online at LightNovelFree.com. Please use the follow button to get notification about the latest chapter next time when you visit LightNovelFree.com. Use F11 button to read novel in full-screen(PC only). Drop by anytime you want to read free – fast – latest novel. It’s great if you could leave a comment, share your opinion about the new chapters, new novel with others on the internet. We’ll do our best to bring you the finest, latest novel everyday. Enjoy! Now that the patriarch of the Changyang clan had pa.s.sed away, Jian Chen had basically become the head of the clan. Even the older members of the clan agreed to it. Under Jian Chen’s command, the Changyang Manor had gone into lock-down, refusing to receive any guests. They locked all of the people from the great clans who had come to express sympathy outside, which caused the manor to be surrounded with people. Before the main entrance, it was so jam-packed that even water would struggle to flow through the crowd. Even though it was like that, those who were locked out did not dare to be resentful. Not to mention the fact that the genius of the clan was in there, the Changyang clan had encountered such a great disaster today, so even if they behaved unusually, or even radically, it was understandable. Within the Changyang Manor in a large room, it was currently full with people. Basically all the old people and members of the clan had gathered there. Before everyone was a luxurious bed, where Bi Yuntian and Changyang Ba currently lay. Jian Chen sat blankly beside the bed. His dull eyes stared at his dead parents and he seemed to be petrified, unable to move at all. Behind Jian Chen, the sheet-white faces of Jian Chen’s first and third aunt were covered with tears. They stood there silently and sorrowfully, while Jian Chen’s second aunt had already cried to the point where her eyes had become red and swollen. On the side, Changyang Hu sat in a wheelchair, staring calmly at the two people on the bed. Changyang Hu was the only person who remained calm about Changyang Ba and Bi Yuntian’s death. However, the emotions in his eyes varied constantly; sometimes stricken with grief, sometimes sorrowful, sometimes lost, sometimes melancholy, sometimes dull and sometimes calm. Almost all the emotions of people flashed across Changyang Hu’s eyes. At that moment, no one knew what Changyang Hu was thinking. Even though the large and luxurious room was filled with people, it was unusually silent. The atmosphere was extremely heavy. The news about the deaths of the Changyang clan patriarch and Changyang Xiangtian’s mother continued to spread further. 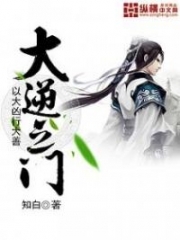 On the second day, the king of Gesun Kingdom had arrived at the manor with commander of the imperial guards, Bi Dao, under the accompaniment of a Heaven Saint Master. Two hours later, the princ.i.p.al of Kargath Academy, Khafir, had also come to the Changyang clan. Afterwards, basically all the respected people within the Gesun Kingdom had gathered in Lore City. What happened with the Changyang clan created a very great commotion. The people had come to confirm the reality of the news, as well as to express sympathy. However, those people were all denied entry without any exceptions. They were unable to enter the clan, while only the king and princ.i.p.al who close ties with the clan were allowed in. “Sister, brother will definitely avenge you. No matter how strong the opponent is, as long as brother is alive, brother will definitely avenge you.” Looking at Bi Yuntian who lay on the bed, Bi Dao’s expression became extremely sorrowful. His fists were already clenched, his unsharp nails actually deeply piercing into his palms, which caused his two hands to bleed. Meanwhile, the sliver of a recollection appeared in the depths of his eyes. He could not help but think about the moment when he had fled with his sister over twenty years ago. In that moment, Bi Dao had already secretly made the decision. In the future, he would spend all his efforts in raising his strength! In the blink of an eye, another day pa.s.sed. On that day, You Yue, Bi Lian, Jiede Tai, Nubis, Bi Hai and Huang Luan had all come to the Changyang clan from the faraway Flame Mercenaries, along with Tianmu Ling from the Tianmu clan and the Eighth Heavenly Layer Saint King old woman. The old man thought of by the old woman was Tianmu Ling’s grandpa Jun. He was a powerful Ninth Heavenly Layer Saint Ruler, and was an old couple with Tianmu Ling’s grandma w.a.n.g. After understanding the situation with Bi Yuntian and Changyang Ba, Bi Lian and You Yue became extremely sad, especially Bi Lian. She became so stricken with grief that she fainted. As for Bi Hai, the founder of the Bi family, he struggled to suppress his rage and declared on the spot that he would personally tear the five murders to pieces. After all, Bi Yuntian was one of the few descendants of the Bi family. Her departure caused great sorrow to Bi Hai. The Changyang clan did not hold a glorious funeral for Changyang Ba and Bi Yuntian. The older members constantly brought it up, but they were all shot down by Jian Chen. They all felt extremely helpless. Jian Chen stayed within the room for three days and only then did his state of mind recover from the rage and sorrow from before, returning to calmness. Three days later, most of the people had already left the room with only a few remaining. Jian Chen finally moved from the posture he had held for three days. He walked up to the bed step by step, and gently pulled up the blankets for his parents. He said softly, “Mother, father, I will definitely revive you.” Jian Chen’s gaze suddenly became resolute. He knew that not only did powerful Radiant Saint Masters possess the power of regrowing limbs, they would even revive the dead. Hearing what Jian Chen said, the perplexed gaze of Changyang Hu quickly disappeared. It was replaced by peace, without any sorrow or any joy. It did not even seem to carry any signs of emotion, becoming terrifyingly calm. “Brother, it’ll be all up to you for father and fourth aunt.” Changyang Hu said softly to Jian Chen. Jian Chen stared deeply into his brother’s eyes. He nodded and said, “Brother, don’t worry. I swear that I’ll revive mother and father.” In that moment, Jian Chen’s decision to go to the Holy Empire to break through Cla.s.s 6 became even more resolute. Jian Chen comforted the grieving Bi Lian slightly, before leaving the room. When he arrived in the guest room, he immediately met Tianmu Ling and the old woman. However Jian Chen just was not in the mood to discuss with them at that moment. He left the room after just some small conversation, going outside to catch some fresh air. Outside, Jian Chen’s gaze suddenly gathered and landed on the four middle-aged men in blood-red clothes close by. The four men currently stood beside each other with their eyes closed and arms crossed. Although they stood ordinarily there, they seemed to carry the presence of the world, as if they were fused with the world. The guards of the Changyang clan all knew how powerful the four men were, so even though the Changyang Manor was in lockdown, they did not dare to chase away the four men. During that time, some of clan elders even went up courteously to thank them, but the four men were very cold. They did not pay any attention to the elders expressing grat.i.tude, not even opening their eyes. Jian Chen stared and observed the four red-clothed men. From the identical appearances of the four people, he could already roughly guess that if the four had not undergone any manipulation in appearance, there were definitely rarely-seen quadruplets. Chen did not know the ident.i.ty of the four men. However, they had saved the Changyang clan when it was in trouble and helped the Changyang clan avoid a tragedy, which made Jian Chen feel grateful. Just when Jian Chen went up to thank the four of them, they suddenly opened their eyes and looked at Jian Chen simultaneously. There were no emotions in their eyes at all, only coldness and indifference. Jian Chen heard a cold and indifferent voice. This was the voice transmission that only Saint Rulers could use. As soon as the message reached the end, the four men seemed to have a spiritual connection, turning into streaks of red light and rus.h.i.+ng into the sky. They disappeared into the horizon in the blink of an eye. Jian Chen’s expression became serious. He gazed deeply at the horizon where the four men had disappeared. The light within his eyes flickered, while his complexion fluctuated. “Just who are those four people? Who is the sect master they speak of, and why do they know that the Gilligan clan king wants to deal with me? Perhaps they already know about the Winged Tiger G.o.d?” Jian Chen constantly thought about those questions, before having images of the Mercenary City grand elder Tian Jian and the mysterious uncle Xiu flash through his mind. However, he remained unsure. As for uncle Xiu, Jian Chen had already thought that he was a Saint Ruler before, because he possessed the abilities of Saint Rulers. However, after becoming a Saint Ruler, this notion began to waver, because Jian Chen had always been guessing at uncle Xiu’s strength. Jian Chen had never been sure whether uncle Xiu was a Saint Ruler or something above a Saint Ruler. Uncle Xiu always brought an unfathomable but extremely ordinary feeling to Jian Chen. 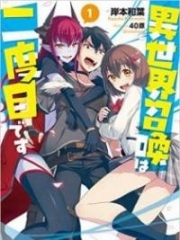 You're reading novel Chaotic Sword God Chapter 720: Determination online at LightNovelFree.com. You can use the follow function to bookmark your favorite novel ( Only for registered users ). If you find any errors ( broken links, can't load photos, etc.. ), Please let us know so we can fix it as soon as possible. And when you start a conversation or debate about a certain topic with other people, please do not offend them just because you don't like their opinions. You're reading Chaotic Sword God Chapter 720: Determination. This novel has been translated by Updating. 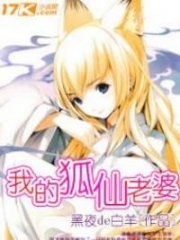 Author: Xin Xing Xiao Yao already has 11455 views. 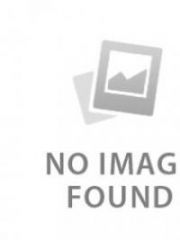 Current Time is Apr-18-2019 16:31:08 PM.